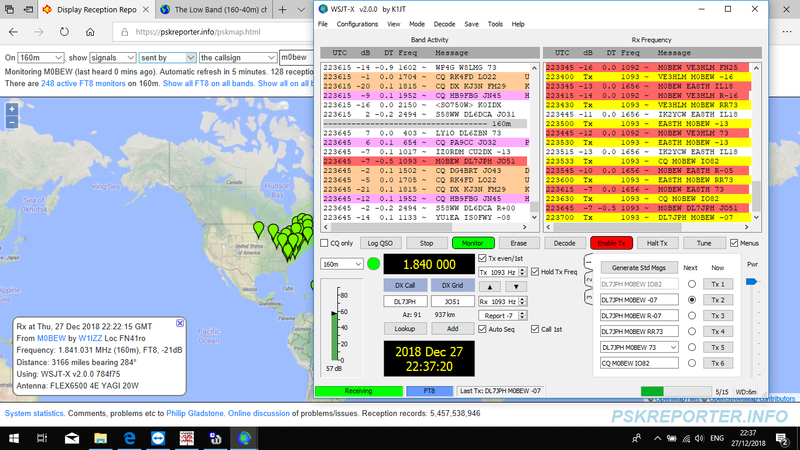 Stew Perry TBC 2018 HP M0BEW. 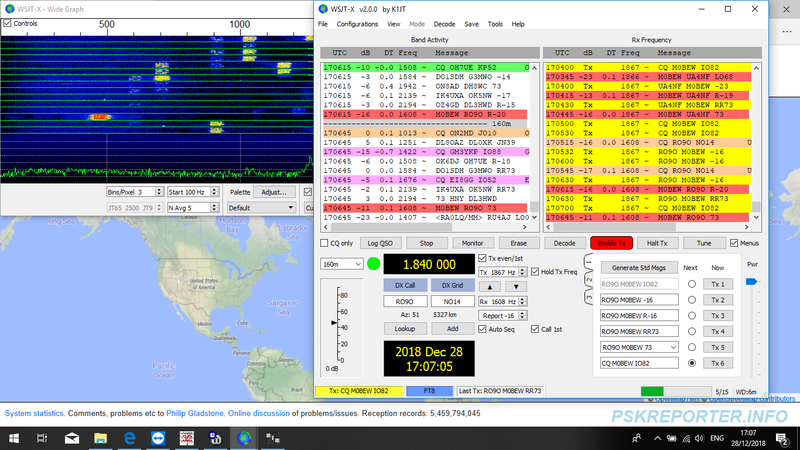 TS480 + PA, Dipole + Inv L. No RX antennas, mostly using the dipole to listen. 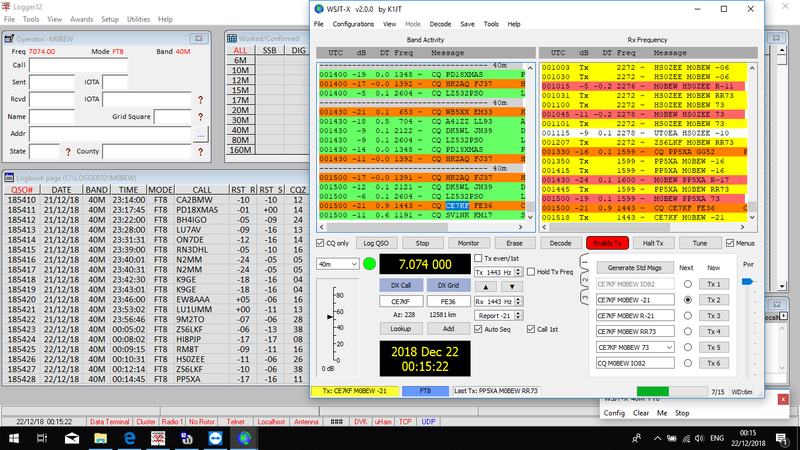 Conditions seemed below average. 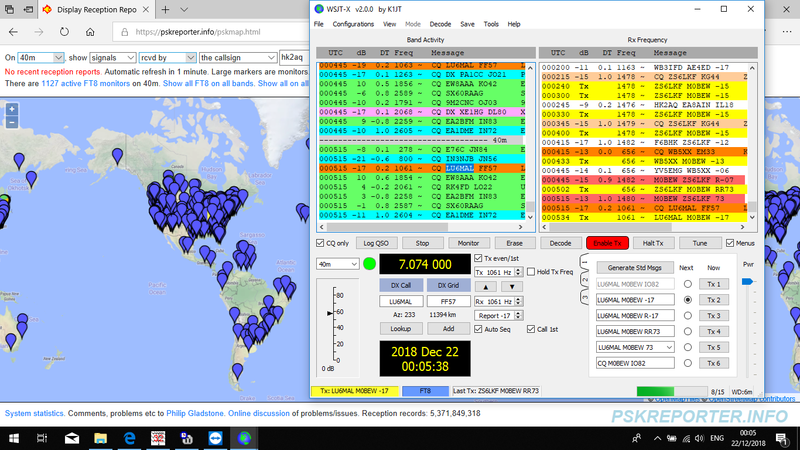 Nothing from OC or SA. 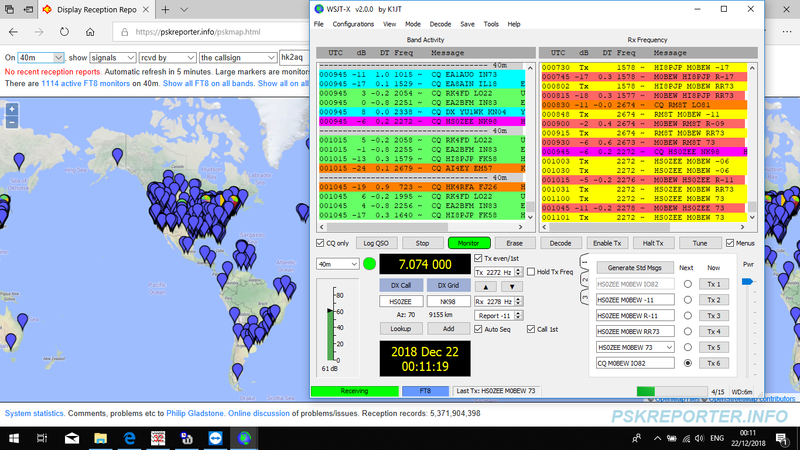 20% of qsos from NA. 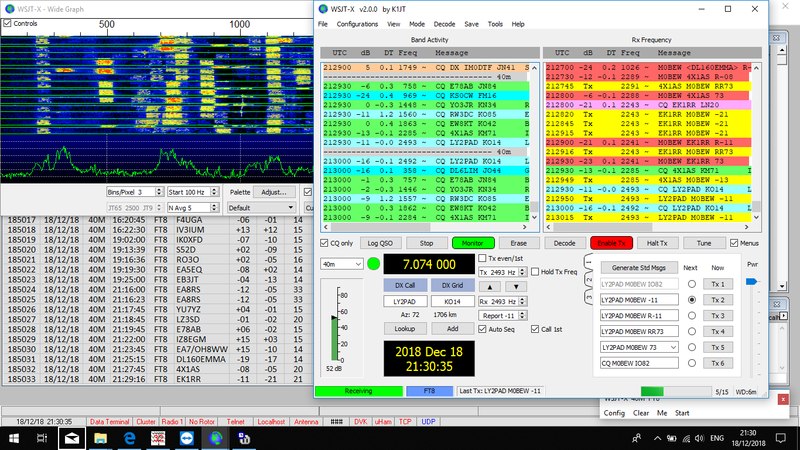 Should have tuned for more dx rather than run at poor rate. 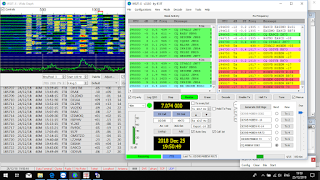 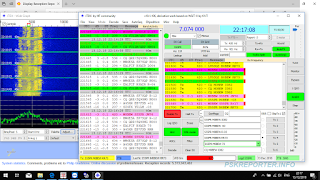 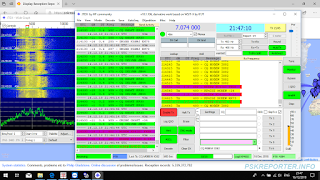 40m FT8 from M0BEW 24.12.18. 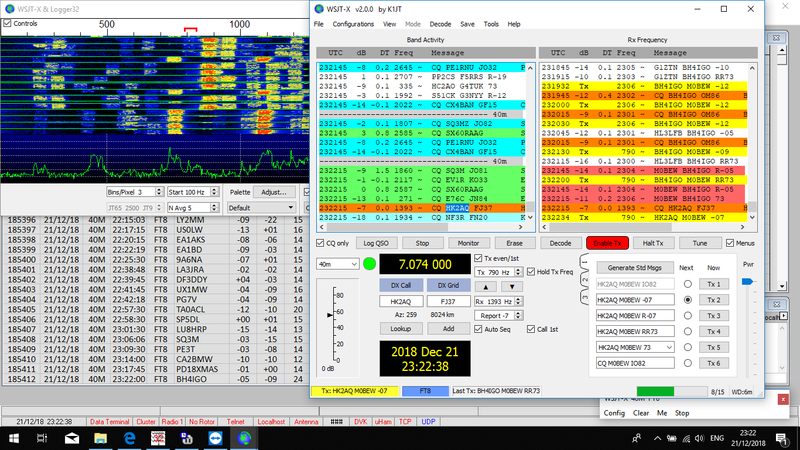 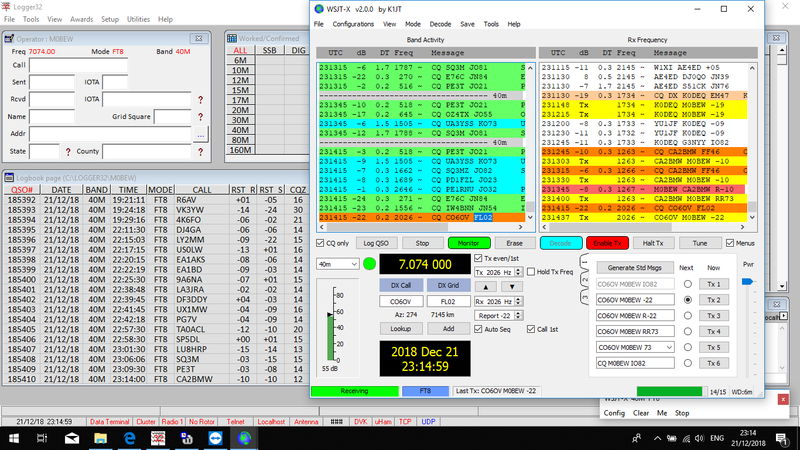 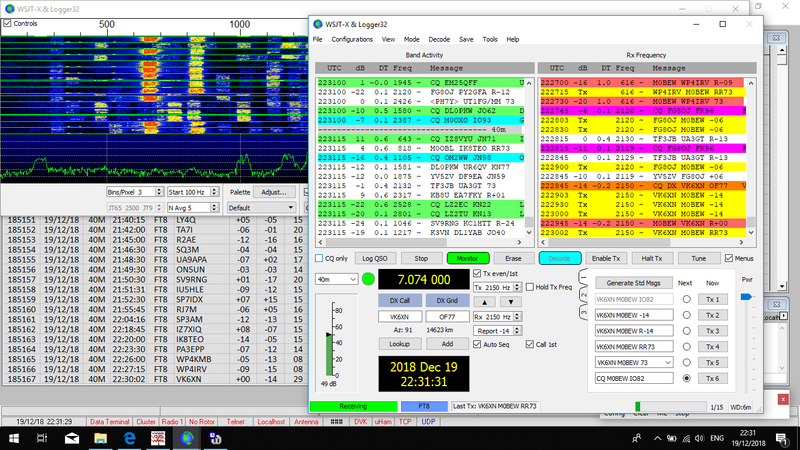 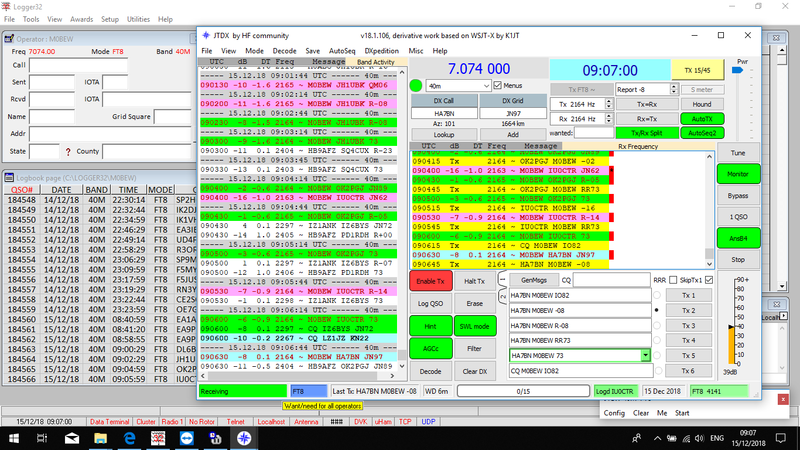 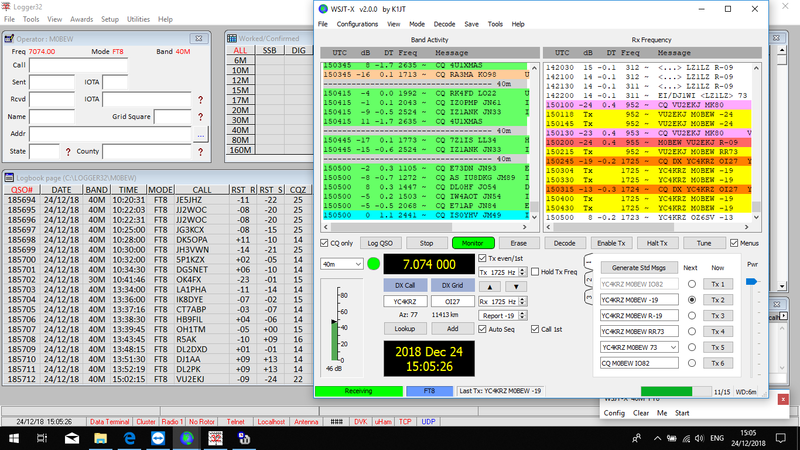 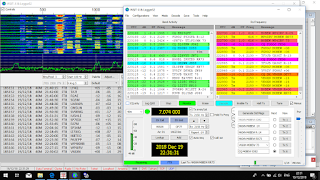 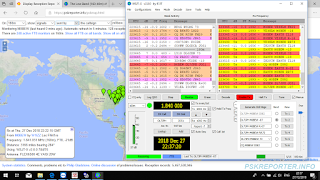 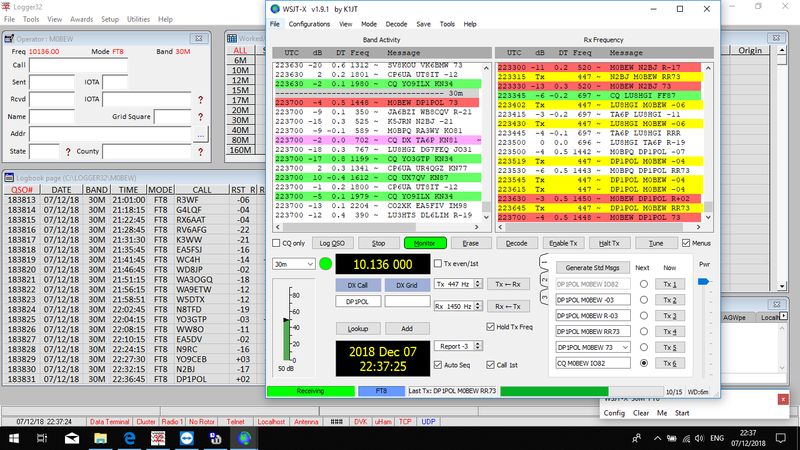 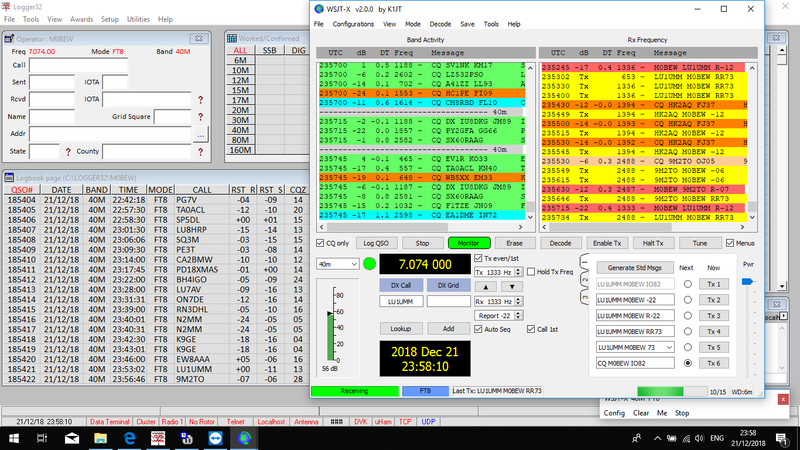 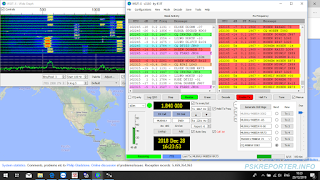 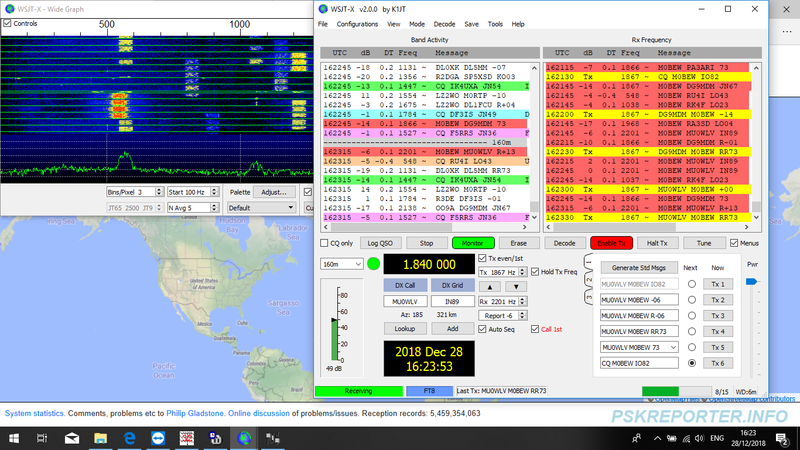 40m FT8 JA long path from M0BEW 24.12.18. 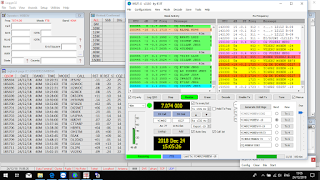 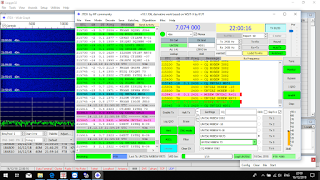 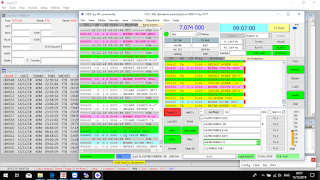 40m FT8 from M0BEW 22.12.18. 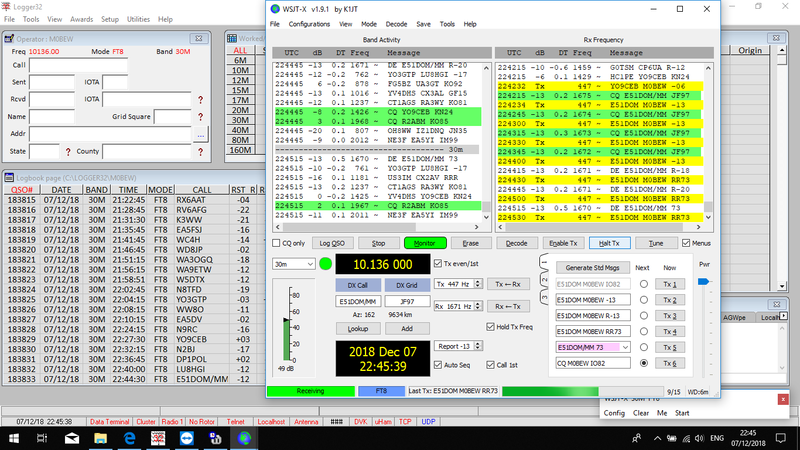 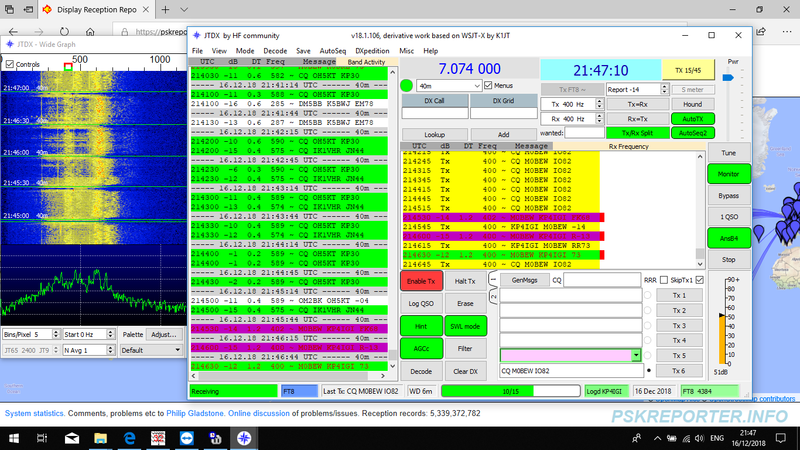 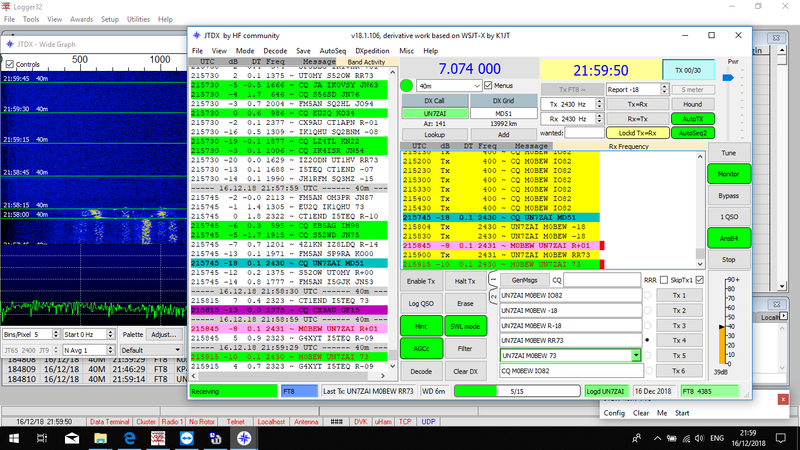 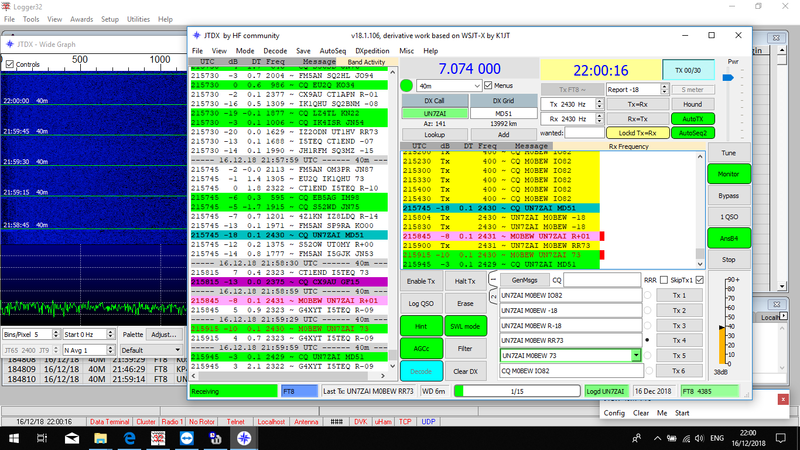 40m FT8 from M0BEW 19.12.18. 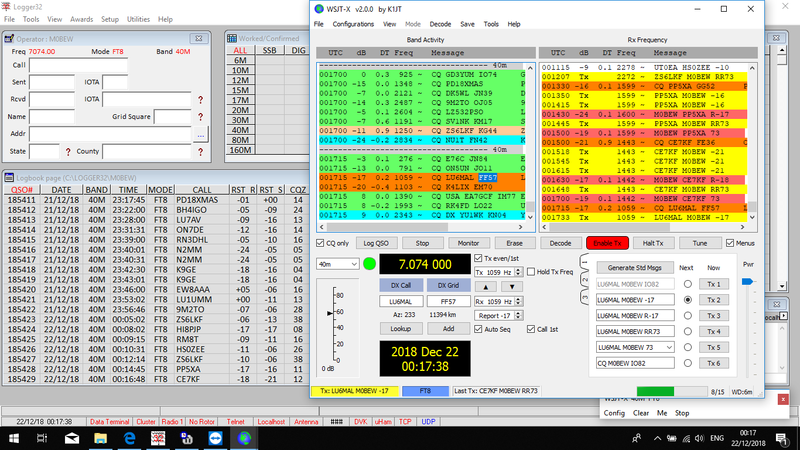 Flagging into FK8 on 40m on 17/12/18. 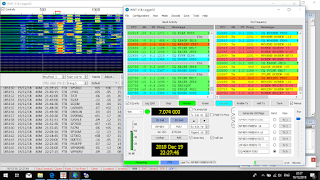 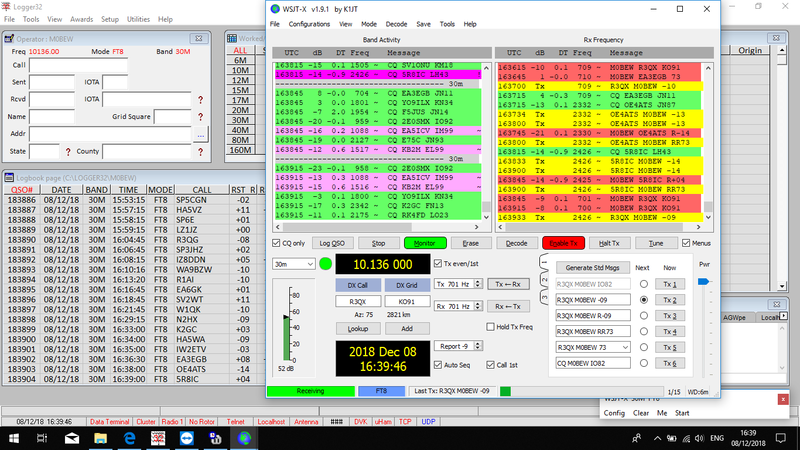 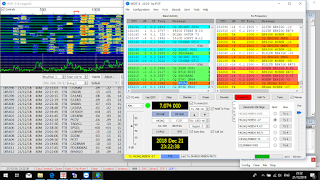 30m FT8 from M0BEW 08.12.18. 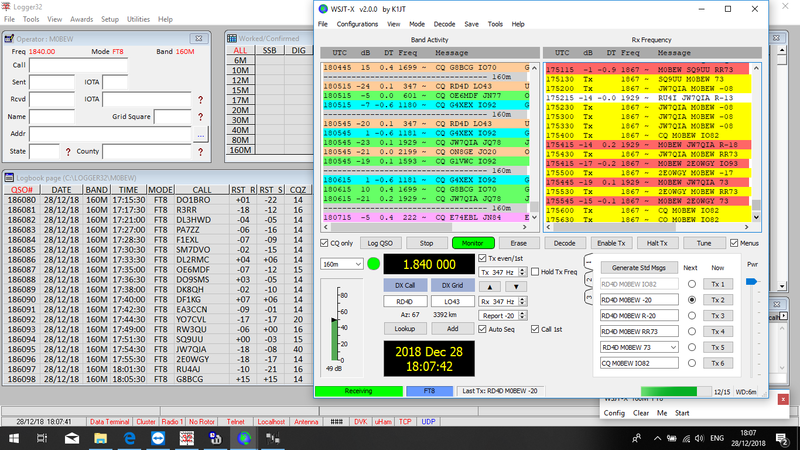 30m FT8 from M0BEW. 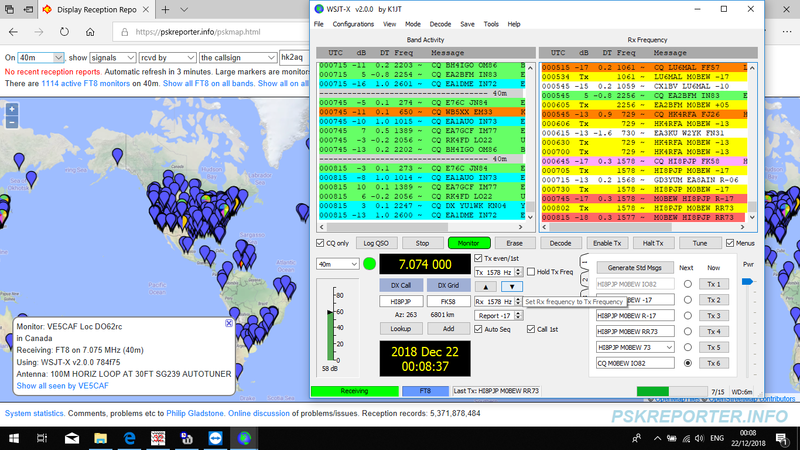 08.12.18. 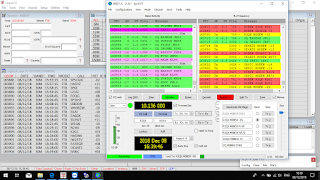 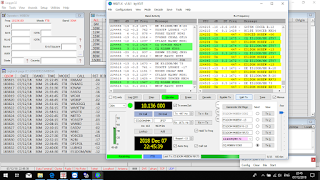 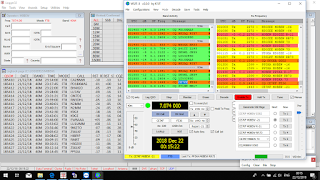 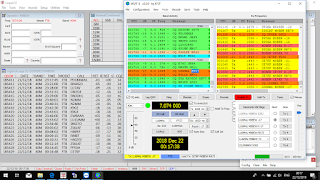 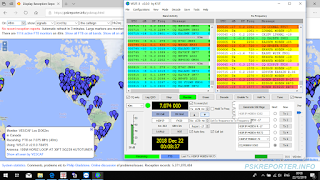 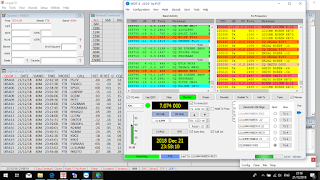 RBN Data UKEICC 80m CW November 2018 M0BEW.